A few months ago the iPhone celebrated its tenth anniversary. It was an occasion that made people sit back and think about the ways in which this device and others like it had changed their lives. Smartphones and social networks have transformed the way people shop and interact with brands. Indeed they have changed customers’ expectations of brands greatly. Every industry now has to be conscious of the heightened, personalized demands of the modern consumer, including the loyalty industry. We have the opportunity to shape the future of loyalty programs so they fit seamlessly with other liquid, flexible markets in which people interact every day. We just have to think about loyalty programs in a more collaborative way so that both customers and merchants can benefit from enhanced data. The merchant’s job is getting increasingly difficult as the modern consumer becomes harder and harder to please. Take personalization for example. It used to be something that was just hoped for. Not anymore – personalization is now expected by consumers. People want a seamless, tailored experience where one relevant transaction or experience leads to the next, without having to work too hard to get there. This is one of the reasons companies such as Google and Amazon are investing so much in personal assistants. Commentators are enthralled by the different ways in which Alexa could make our lives easier and enable us to achieve our goals. The average consumer is used to personalization now, regardless of whether they have a personal assistant yet or not. People who log onto their Spotify account find playlists created for them based on their recent listening history. Youtube videos are suggested based on recent views – something that also exists with on-demand TV platforms like Netflix. And then there are the online retailers like Amazon that send offers based on previous search history. The technology isn’t perfect, but each year people are living a more personalized experience – more often than not arriving to them via their smartphone screen. All of this personalization, however, is fuelled by data. If a brand doesn’t have actionable data on their customers, they will struggle to provide them with the relevant offers customers demand. This is the challenge facing loyalty marketers today; and, will continue well into the future. The future of loyalty programs will rely on data. For some giants like Amazon, managing this data won’t be a problem, but for smaller companies it’s not as simple. There is the investment in technology and the team to execute the objectives. However, there is also a flaw in many plans because only a modest percentage of customers are identifying themselves during purchases – which means independent of the investment, automated and personalized communications are only reaching a small percentage of the customer base. In a typical loyalty program, the most frequent 15%-25% of customers get a lot of value and can benefit from relevant offers – because they are frequent customers. However, the program might have become meaningless to most of the other customers who are convinced that they can’t collect enough of the loyalty currency to reach interesting rewards – so they stop participating. This 80% or so of customers don’t join the program because they don’t expect to do that much business with the merchant; and assume that for that reason, rewards will be too hard to earn. The rules might be too complicated, the earning levels too extreme, or the interesting rewards just too hard to reach. In this scenario both the customer and the merchant miss out. The customers who don’t sign up to the loyalty program or just stop participating are essentially frozen out of the most interesting offers and rewards. For the merchant this 80% represents a great opportunity to grow their business. It also represents valuable data they’re missing out on. The easiest way for the merchant to get the 80% group re-engaged with the loyalty program would be to offer them the ability to exchange loyalty currencies as part of a wider loyalty network. In this way the customer would be able to capture value from many programs and know they can shift it to a single account, and reach interesting rewards more quickly. This may sound radical, but the merchant would then have access to a much larger pool of data they can use to personalize more effectively. 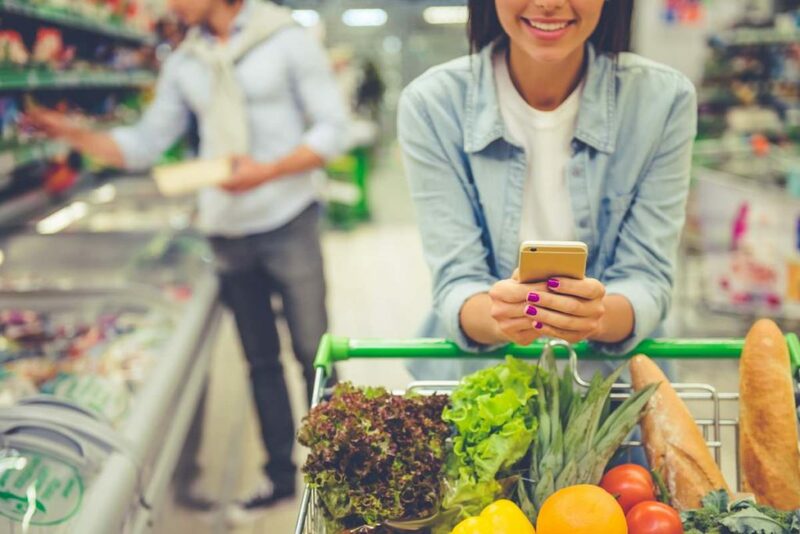 Besides, huge companies like Sainsbury’s and Tesco have stated that their most frequent and valuable customer is motivated to earn loyalty currency with them but often redeems elsewhere for more aspirational products or services. Consumers don’t expect brands to offer everything, but if you can make their transition from one purchase or experience to the next, they’ll appreciate it. This was the thinking behind the partnership between Delta and Lyft that gives customers more ways to earn SkyMiles. It might still seem a bit “science-fiction,” but it’s really not unrealistic to think that in a few years time, people will rely on digital assistants like Alexa or an equivalent on their mobile to find the most convenient, relevant offers. It’s for that reason that loyalty marketers today really need to start thinking about how their loyalty program is making their customers’ lives easier. If it isn’t, that could be a real problem in the coming months and years because the Personal Intelligent Assistants will be far more rational than their master. If you think customer expectations are high now, the next few years will see those expectations skyrocket. People are going to be increasingly accustomed to liquidity in every industry in which they operate. At their fingertips they’ll be sharing and receiving streams of data, and their digital PAs will be filtering offers so that only those that are personalized and useful will actually make it through. A coalition loyalty program would offer merchants a way to compete without Amazon’s massive leverage. And it would offer customers far greater liquidity. The top 20% of customers seem to be benefiting from existing loyalty programs – and maybe these people will continue to benefit – but maybe they will soon find better alternatives. On the contrary, the 80% of customers not engaged with the loyalty program represent a huge opportunity to improve engagement and grow the business. To engage with those customers, the loyalty program needs to offer them a loyalty point currency they will value – so they are motivated to collect it in the first place – thereby generating useful data and opening up the necessary communications channel. Brands could directly offer a currency from a loyalty program in which customers are very active, so they can collect more of that loyalty currency. Alternatively they could enable their loyalty currency to be exchanged so customers know that even with a small number of points, they can exchange it for another currency to realize some benefit. Of course, with good marketing, the customer can be encouraged to convert loyalty currencies from other programs into your currency so they can more easily reach emotionally interesting rewards from you. The customer of the future will be technologically savvy. According to Ipsos, over half of US millennials are currently making mobile payments. This is a figure that is set to rise and be replicated across other generations. Loyalty marketers need to plan for the future of loyalty programs with millennials in mind. As well as being a generation embracing digital financial transactions, they’re also the generation that has most embraced the ethos of collaboration at the core of the sharing economy. Let’s extend the ideas behind the sharing economy to let loyalty programs grow exponentially. It will be up to us to get to know this customer of the future. Digital PAs currently ask what they can do for us. That’s because their role is to make our lives easier. Increasingly that’s how consumers will view loyalty programs too. There’ll be no room for barriers or friction in the future of loyalty programs – only a liquid ecosystem that provides freedom for customers to redeem for personalized offers across a variety of stores will satisfy them. Fortunately for the merchant, this tech savvy customer will be more than happy to share data about themselves, therefore improving their customer profiling – which with the right technology and team, can lead to more customers and more sales. Talk to us about our vision for the future of loyalty programs.